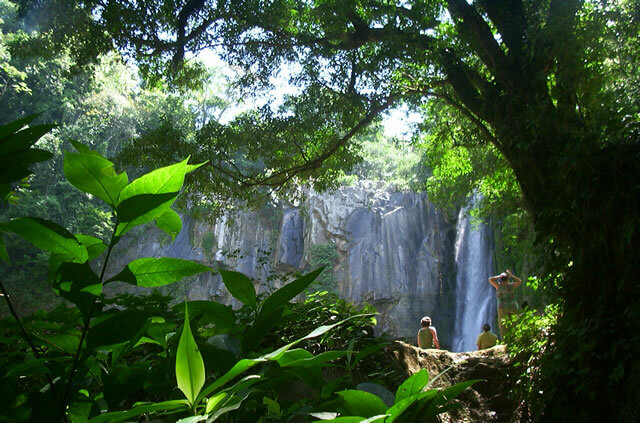 Costa Rica is known worldwide for its beaches, forests and sustainability efforts to preserve nature through green initiatives. 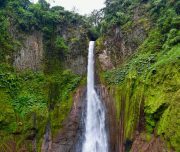 However, not many people know that our little country is also home to countless waterfalls; some of which are found in the most remote and magical places. Come with us to discover these little known treasures and let yourself be carried away by the majesty of these hidden gems. 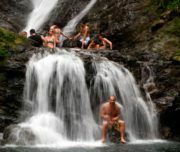 · An 8-day Costa Rica luxury itinerary. 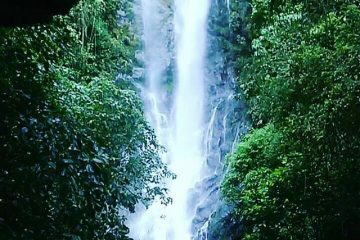 · Visit 4 hidden waterfalls in different places. · Bed down in luxury hotels throughout. 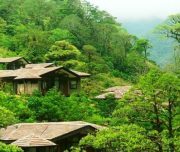 · 2-night accommodation at Luxury Lodge in Bajos del Toro. 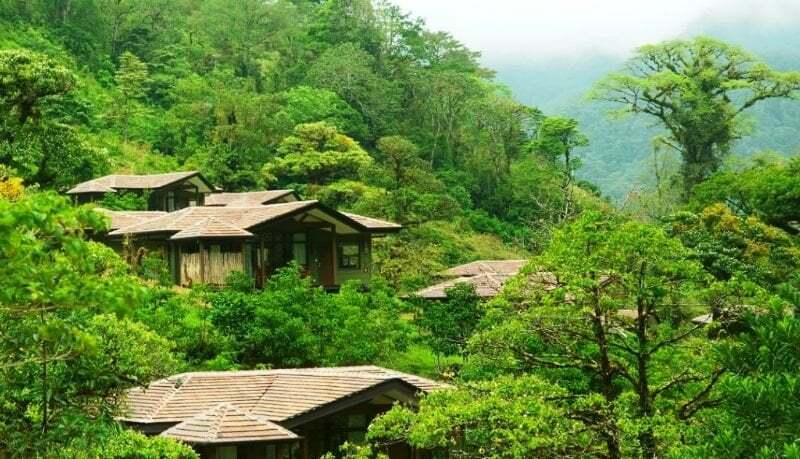 · 3-night accommodation at Luxury Hotel in Manuel Antonio. · 1-night accommodation at Alta Gracia Hotel in Perez Zeledon. · 1-night accommodation at Luxury Hotel in San José. 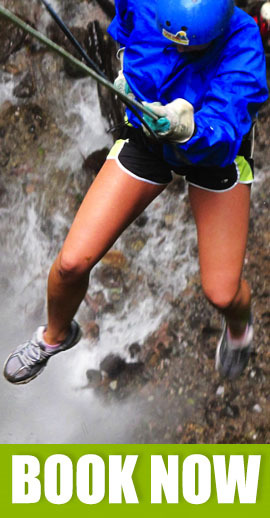 · Zip Line Canopy Tour. 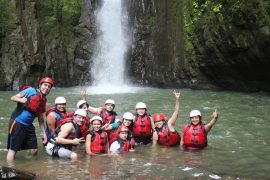 · Visit 4 different waterfalls throughout the Costa Rican territory. · A minimum of 4 people per booking is required. Day 1: Arrive in San José. One of our representatives will welcome you at the International Juan Santamaria Airport, then you will be transferred to your hotel in the outskirts of San José, just 1.5-hour away from the airport. This area is called Bajos del Toro and its well known for its chilled weather and wonderful nature, just some steeps from the capital. Upon arrival to the hotel, you will have some time to familiarize yourself with the surroundings and the casitas (your room). Tonight, dinner is included at the main restaurant, where you can meet your fellow travelers and start discussing your upcoming adventures. Day 2: First hidden Waterfall. Breakfast at the hotel. Afterwards, we will start our hiking tour seeking for the first hidden waterfall. Just a few miles away from the hotel, this waterfall hides in the bottom of a canyon. This is one of those places in life that makes you feel better just by looking at it, energizing you and making you experience everything this land has to offer. And if one is not enough, we will visit a second waterfall in this same area, double the excitement and adventure! Back at the hotel, lunch is included and the afternoon is at leisure. Then, at late afternoon we will join the head chef for a cooking class; tonight’s dinner is up to us. Day 3: Zip Line and Manuel Antonio. Rise and shine! Enjoy a hearty breakfast before heading to the Central Pacific coast of Costa Rica, a 3-hour drive. On the way, we will stop near the Carara National Park for a Zip-Line adventure tour. The adventure starts with a 15-minute ride aboard a specially designed, 40-passenger tractor. Once you arrive at the top of the mountain, you’ll then descend via a series of zip lines, including 15 platforms and 14 cables with a total cable distance of 3.5 Km (2.16 mi), including one that spans 2,400 ft (730 m). This makes it the longest cable in the area! Within the property, you will have the opportunity to see the scarlet macaws and white-faced monkeys. Then, we continue our journey to Manuel Antonio National Park, making a stop on route for lunch. At Manuel Antonio, we will stay for the next 3 nights at Luxury Hotel, where we will be able to enjoy a beautiful sunset from the main pool. Day 4-5: Discover this Reserve. Take a break from your adventures in this Reserve to splash in a freshwater pool beneath a waterfall—your guide knows just the spot. 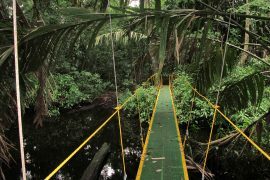 Part of the adventure will be crossing by the hanging bridge through giant trees. After lunch a lovely surprise is waiting for us; our second destination featuring a hidden waterfall. 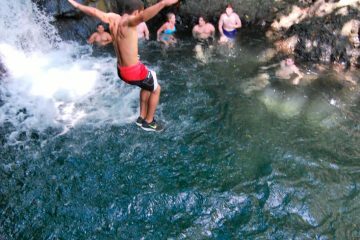 Swim in the natural pools that form in the bottom of the waterfall, this is just the perfect end for a day full of exercise, sun, and contact with nature. Day 6: Third hidden Waterfall. Today, we leave behind the white sand of Manuel Antonio and continue our adventure. 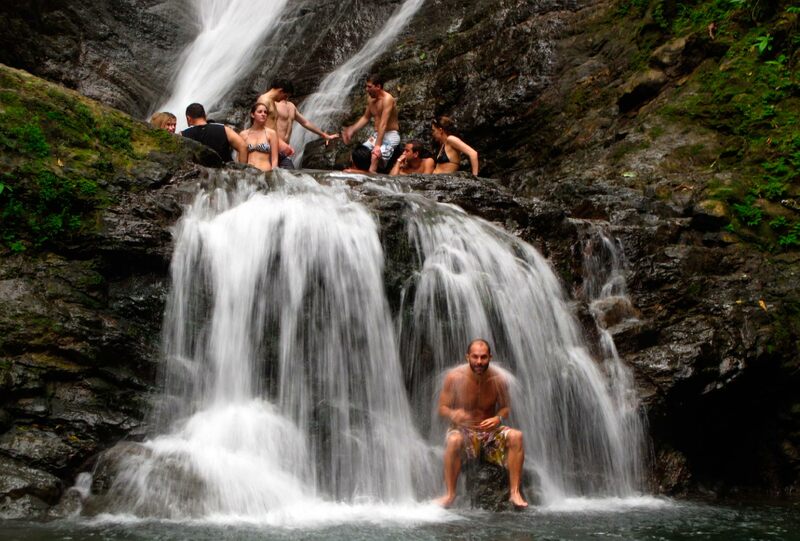 Just 1 hour away from Manuel Antonio, we will find another hidden waterfall waiting to be discovered. The first one is 45 meters high in free fall and the other one 20 meters high. 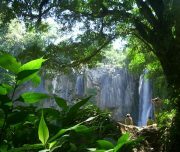 This is a paradise in the jungle of the South Pacific coast which rewards us with several natural pools, all of them at your disposal to enjoy while you admire the nature that surrounds this magical place. Later, we will stay at Alta Gracia Hotel for 1 night. This is a luxury hotel recently awarded as one of the most exuberant new hotels in Latin America. Nested in a sumptuous Hacienda, the hotel offers several activities such as horseback riding and several walking trails, besides of a world-class SPA and entertainment rooms. The hotel even offers a unique attraction in the area, the possibility to fly for 30 min or 1 hour using an ultralight aircraft, a one-time opportunity in life. Day 7: Our last Waterfall. This morning we have one last surprise for you! 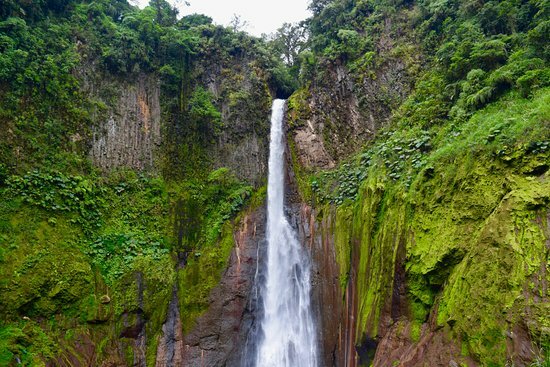 We will spend part of our morning searching for a one last waterfall in the area surrounding the Alta Gracia Hotel. After lunch, we will head back to San José city for our last night before departing home. Dinner tonight is included at the hotel. Day 8: Adiós Costa Rica. After breakfast, you will be transferred to the Juan Santamaría International Airport for your flight back home.